In 1973, a sweet-tempered, ferociously imaginative ten-year-old boy named Patrick Horrigan saw the TV premiere of the film version of Hello, Dolly! starring Barbra Streisand. His life would never be the same. 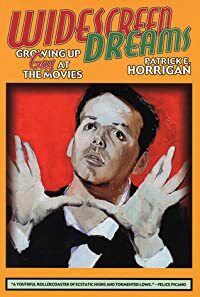 Widescreen Dreams: Growing Up Gay at the Movies traces Horrigan’s development from childhood to gay male adulthood through a series of visceral encounters with an unexpected handful of Hollywood movies from the 1960s and 1970s: Hello Dolly!, The Sound of Music, The Poseidon Adventure, Dog Day Afternoon, and The Wiz.